Madrid, 14 Jan 2017 (SPS) - Spanish Inter-Union Confederation has called for the immediate annulment of the sentences pronounced by the Moroccan military court against the political prisoners of the Gdeim Izik Group, in a statement published on its website. Responding to an international appeal launched by UGTSARIO, lawyers of the Spanish Confederation expressed their support to the group of more than 40 lawyers from different countries who defended Saharawi political prisoners. 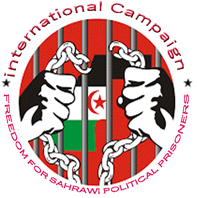 It also reiterated its support and solidarity with Saharawi political prisoners who are still languishing in Moroccan prisons and demanded their immediate and unconditional release. The Confederation also demanded the end of the Moroccan occupation of Western Sahara through the implementation of a referendum of self-determination for the Saharawi people in accordance with the numerous resolutions of the UN and its Security Council.